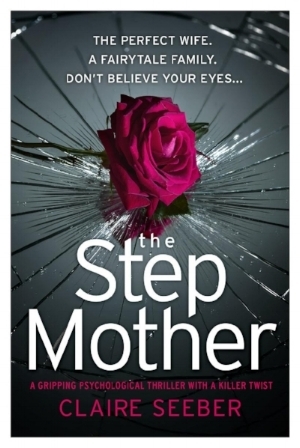 A gripping psychological thriller with a killer twist about the myth of step-families. After all, a fairytale needs a happy ending…doesn’t it. An intense suspenseful psychological thriller about dark love, with a nail-biting twist. My best friend, Emily, is dead - killed last night in a hotel fire. But it was meant to be me. Now I have 24 hours to find my daughter. Before he finds out I'm still alive. Compelling psych thriller about the nature of grief, with a twist you won’t see coming. When a bomb explodes outside the Royal Academy of Ballet in the heart of London, the police initially suspect a terrorist group. But the pieces don't fit and DCI Silver is struggling to find any suspects. Still recovering from Post Traumatic Stress Disorder after a terrible tragedy, Claudie fears that her recent black-outs are a sign that her symptoms are returning. When her friend Tessa dies in the explosion, Claudie is gripped by the inexplicable certainty that she is involved in some way – if only she could remember. Meanwhile, Silver is shocked to find that one of the dancers from the academy – now missing in the aftermath of the explosion – is linked to his past, and the lines between his personal and professional life are starting to blur. Can Claudie and Silver get to the heart of what is real and what isn't before something terrifying happens again? Exciting, action-packed psychological thriller that’ll have you on the edge of your seat. With her three beautiful children, millionaire husband and Cotswolds mansion, former investigative journalist Rose Miller has an enviable life. But behind the domestic bliss lies a secret past! As Oxford students in the early nineties, Rose and James belonged to Society X, an elite clique that knew no boundaries. Led by the enigmatic Dalziel, the group were hell bent on breaking down society’s norms – until an unimaginable tragedy occurs. With the subsequent scandal covered up, Rose has settled into family life – but is afraid to admit her feelings of boredom. So when her ex-editor asks Rose to dig the dirt on a wealthy businessman new to the area, adrenaline enlivens her. But as Rose’s investigation begins to threaten her family she backs away – and then a tragedy at her home begins to widen the cracks in her domestic facade. As their world crumbles around them, is Rose about to atone for the sins of her past? An utterly gripping novel that will captivate fans of Sophie Hannah and Nicci French. Dark and twisting thriller about the nature of friendship and love. A terrible accident. A secret discovered. An inescapable nightmare. Who needs enemies with friends like these? En route from ending a destructive love affair, TV producer Maggie Warren is involved in a freak accident. Lucky to escape with her life, Maggie’s further disturbed to discover she’s now front-page news. When invited to discuss her trauma on a chat-show, Maggie comes face to face with fellow survivor, the beautiful but damaged Fay Carter – fame-hungry, needy and now apparently infatuated. One by one the tentacles of Maggie’s past mistakes seem to be reaching inexorably into her future. Her compromised career is catching up with her, ex-boyfriend Alex just won’t take no for an answer – but worse, the secret Maggie has tried so hard to bury is coming back to haunt her. When Maggie’s flat is ransacked, she refuses to believe it’s a coincidence. Now Maggie’s clutching onto sanity for dear life, but she’s horribly aware that one final push might send her over the edge! Or is that exactly what someone wants? Every parent’s nightmare: the ultimate psychological suspense thriller. What should have been a happy family day out quickly turns into a nightmare for Jess Finnegan. One minute she is thankful for a few minutes’ peace away from the demands of motherhood. The next she is frantically searching for husband Mickey and 8-month old Louis.They have disappeared, nowhere to be seen. ‘A powerful and sensitive treatment of every parent’s worst nightmare’.